Home > Blog > Do not fear – the Brexit Q&A is here! Do not fear – the Brexit Q&A is here! It looks like the UK won’t be leaving the EU, until at least April 12th, and with the uncertainty of Brexit (and negotiations still not set in stone) British holidaymakers have been putting off booking their 2019 getaways. Fear not UK travellers, we have found and answered the most popular travel-related Brexit questions to put your mind at ease – or at least try. Read on for tips and advice. What Brexit related risks are covered by Get Going’s travel insurance? If your End Supplier fails before you travel, Get Going can provide customers with cover for up to £3,000 per person – with a Premier policy or extension. If your End Supplier fails while you are away, Get Going can provide customers with cover for up to £1,000 per person – with a Premier policy or extension. If you are delayed at your international departure point, Get Going will pay you set benefit for each 12 hour period you are delayed up to a maximum of £300 on Premier policies. This benefit can then be put towards the cost of things like additional meals or reading materials. For more information click here. If you are delayed for 24 hours, we will also cover the cost for you to abandon your trip (up to £5,000 on Premier policies). If you miss your outbound departure, potentially caused by long queues, Get Going can provide cover up to £1,000 depending on your policy. If you miss your outbound connection, Get Going will cover up to £500, again depending on your policy. If there is a hard Brexit and the EHIC is no longer valid for UK travellers, Get Going will still cover the cost of the medical bills and any necessary repatriation back to the UK up to £10million (subject of course to the terms and conditions of the policy). What does a hard Brexit mean? A ‘hard Brexit’ means that an agreement cannot be reached between the UK political parties. If this is the case, then both parties will go their separates ways and all previous agreements will no longer be valid. At the moment there is a lot of speculation around whether the Withdrawal Agreement will actually be agreed, so much so that the UK have been granted a “flextension,” meaning we now having until October 31st to leave. However it has been said that Brussels will not reopen the withdrawal agreement or change the Irish backstop. Will I need a new passport to travel to Europe after Brexit? Currently, UK travellers must have a passport which is valid on the date that they return to the UK. However, under the Withdrawal Agreement, it will become compulsory that UK travellers have a passport which extends beyond their date of return, going forward. The specific extension time has not yet been confirmed. In the case of a hard Brexit, it is likely that UK travellers will be treated the same way as visitors from non-EU countries. This will mean all British passports will require a minimum validity of three-months beyond the date of departure from the EU, issued within the last ten years. As a precautionary measure, the UK government has advised that all British travellers ensure they have at least six months left on their passports at the date of return to the UK. UK travellers with passports nine years and six months old are also being urged to consider renewing their passport. The UK government have created a useful passport checker, which can be found here. So, will I need a visa to travel to Europe after Brexit? The EU has agreed to allow UK holidaymakers to travel to other EU countries (the Schengen area) for short stays of up to 90 days in any 180-day period without needing a visa, as long as the UK will employ the same treatment to travellers from the EU. However, in 2021 UK travellers will be involved in a new European Travel Information and Authorisation System (ETIAS). This system is similar to the ESTA regime they currently have in the US. It will require UK citizens visiting the Schengen area to purchase an electronic travel authority (ETA) before travelling. The ETA will cost around €7 and will remain valid for three years. It will then be the airline, ferry and cruise company’s responsibility to check that British travellers are in possession of a valid ETA before boarding. Will my EHIC still work after Brexit? The European Health Insurance Card (EHIC), previously known as the E111, has been the Brits’ golden ticket to accessing free (or substantially reduced) emergency medical care in the EU since 2004, and the UK government are keen for UK and EU nationals to continue to be able to use this whilst abroad. If a hard Brexit occurs, then the EHIC will automatically become invalid. Therefore, travellers are advised to ensure they have appropriate travel insurance to cover any unexpected medical costs whilst on holiday. Medical prescriptions issued in the UK will also no longer be accepted in EU pharmacies. Consequently, travellers should ensure that they have a suitable amount of medication to last them for the duration of their trip. Will my airline still be able to fly after Brexit? The ‘open skies’ agreement is a deal currently in place which allows flights to travel freely between the UK, EU and USA. The UK government has already negotiated agreements for planes to continue flying to the USA, Canada and many other long-haul destinations. However, an agreement is yet to be negotiated with EU countries. The European Commission have announced that if the UK leave the EU on April 12th, with no deal, then there will be no transition period, and UK travellers can expect “significant disruption” at the borders. Will my driving licence remain valid in the EU after Brexit? Currently, UK residents are allowed to drive in other EU countries, provided they have a valid driving license. Under the Withdrawal Agreement, this arrangement will continue. Each permit will set you back around £5.50 and must be purchased before travelling. An IDP will not be required to drive in the Republic of Ireland whether there is a hard Brexit or not. Travellers who already have an IDP should check that it is still acceptable in the country they wish to visit. For more information on the IDP, click here. Will I need a green card if I plan to take my own car on holiday after Brexit? Current EU arrangements mean all state members are part of the ‘free circulation zone’, which allows vehicles from EU countries to travel freely, without any documentation confirming their insurance. Should a hard Brexit occur, then this freedom will cease for all UK motorists, and they will be required to carry a Green Card with them. A Green Card is a document printed on green paper, which guarantees that the drivers insurance company will honour any claims made against the driver’s policy whilst driving in the EU. The Department of Transport has issued a helpful guide which can be found here. The Association of British Insurers also has a helpful Q&A section to help motorists, available here. Will I still be able to buy duty free goods after Brexit? Whether a hard Brexit occurs or not, travellers between the UK and EU will still be able to purchase duty free goods. The only thing that may differ is the amount of duty-free goods that can be purchased by those entering the EU and those entering the UK. More information on the effect Brexit may have on duty free can be found here. There is a possibility that the rules which currently apply to those visiting the UK from outside of the EU, will now also apply to those travelling from the EU. This will mean that travellers will be required to choose between the red and green channels in the arrivals hall. The blue channel will disappear. UK travellers will still be entitled to VAT refunds where they have paid VAT when purchasing certain goods within the EU, providing these were presented to customs on departure from the EU with the relevant VAT refund documentation. What happens if my tour operator cancels my holiday because of Brexit? Currently, travellers who go on package holidays have specific rights under the Package Travel Directive (EU) 2015/2302. The UK government has already arranged for this to be adopted under The Package Travel and Linked Travel Arrangement Regulations 2018. This means, if a customer buys a package holiday which then gets cancelled for any reason other than failure to turn up at the departure point, cancelling for no reason, or generally not meeting their obligations under the contract, the tour operator is required to give the customer a full refund of their package. Research has informed us that if a package holiday has been booked before October 31st 2019, and the travel provider cannot supply the booked package holiday due to a hard Brexit, the customer will be entitled to a full refund of the cost of the holiday. However, the travel operator would not be liable for any other compensation. If each part of a trip has been booked separately, e.g. the customer has booked their flights and then accommodation independently, in the event of a hard Brexit, the airline might be grounded (in which case the airline must refund the flight cost) but the accommodation provider could argue that the villa or hotel is still available and refuse to refund the additional expense. Will I have to pay a surcharge on my holiday after Brexit? Again, under the existing EU regulations, travellers with package holidays are protected under the Package Travel Directive (EU) 2015/2302, and this has also been employed under the UK law for The Package Travel and Linked Travel Arrangements Regulations 2018. In some circumstances, this legislation does allow the tour operator to increase the package prices. For example, if accommodation costs rise due to exchange rates. if the increase exceeds 8% of the total price of the package, they offer the customer the option of cancellation with a full refund. Am I still entitled to compensation if my flight is delayed because of Brexit? Under the European passenger rights, UK holidaymakers are currently entitled to claim for compensation if their flight is delayed. The amount of compensation passengers can receive is up to €600 and dependent on both the length of the delay and the distance of the flight. The delay must also not have been caused by ‘extraordinary circumstances’, such as air traffic complications or adverse weather. This legislation has been adopted by the UK government and will continue post Brexit. However, any delays caused by a hard Brexit may not quality under this scheme, as it is outside of the airline’s control. What happens if my tour operator or airline cease trading because of Brexit? If there is a hard Brexit, there is a chance that tour operators, airlines, accommodation providers and other suppliers could face financial difficulties. Again, under the existing EU regulations, travellers with package holidays are protected under the Package Travel Directive (EU) 2015/2302. This has also been employed under the UK law for The Package Travel and Linked Travel Arrangements Regulations 2018. The law states that tour operators must protect ‘package holiday customers’ money with either an insurance agreement or protected trust bank account. All travel agents and operators will be protected by either the ABTA or ATOL bonding schemes (or something similar to the Travel Trust Association). Holidaymakers who have booked their flights and accommodation separately could still have some protection if they paid by credit or debit card, as they might be covered under Section 75 of the Consumer Credit Act 1974. If these options are not applicable, then travellers should be able to claim on their travel insurance, provided their policy covers for ‘End Supplier Failure’. End Supplier Failure usually provides a refund for monies paid in advance, which cannot be recouped from anywhere else (i.e. travel operator or bank) as well as covering should a tour operator, airline, accommodation provider or supplier cease trade before or during your trip. The policy will also contribute towards the cost of returning to the UK should Brexit leave you stuck (with a similar standard and class as previously arranged). Will my travel insurance be valid after Brexit? 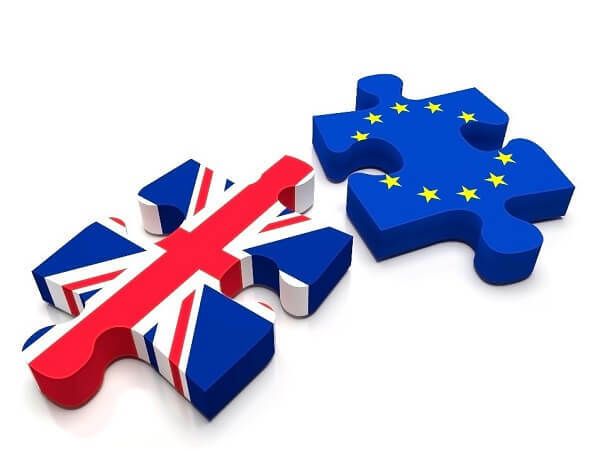 The UK and EU have agreed that there will be a ‘continuity of cover’ respective of any insurance polices underwritten by registered UK and EU insurers. This means that any policy already issued for travel during or post-Brexit will remain in place and cover will continue as per the contract at the time of sale. This applies for both UK and EU residents where applicable. For more information on Brexit click here.